Over the last few years, a great deal of brands have created unique vending machines for conveniently sharing their products with consumers and now, Scotch producer Whyte & Mackay is introducing what it calls the world’s first Old Fashioned vending machine. 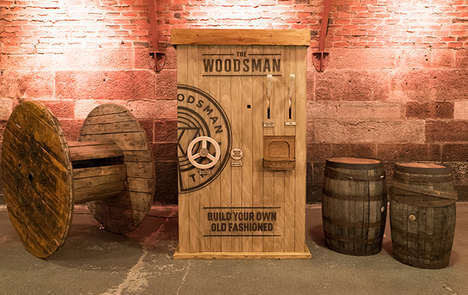 As Whyte & Mackay’s The Woodsman blended Scotch whisky was specifically created to appeal to a younger demographic of drinkers who are looking for non-traditional alcohol products, the Woodsman Vending Machine offers a fun way to introduce the whiskey producer’s products. The vending machine shares complimentary whisky-based cocktails with people after they pull levers and turn wheels to create their drink.